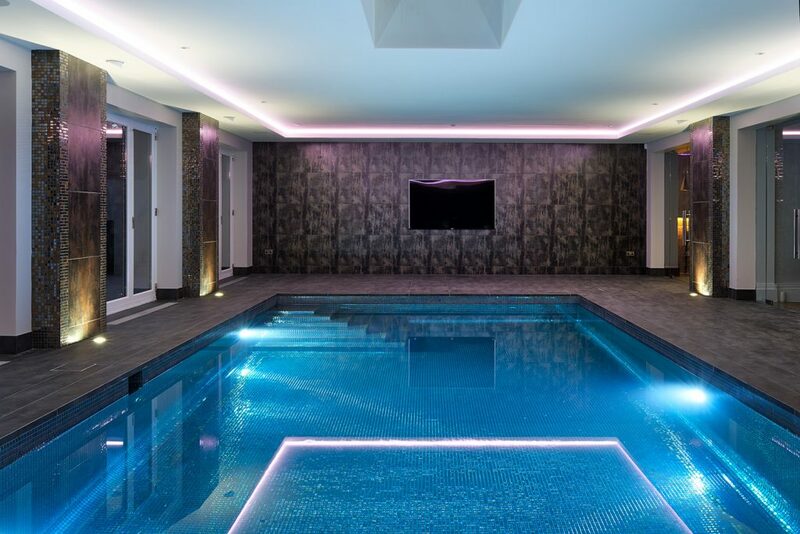 This private and exclusive swimming pool and cellar is the perfect combination of a modern and timeless design. The wine cellar was a traditional, high end, and extravagant design. 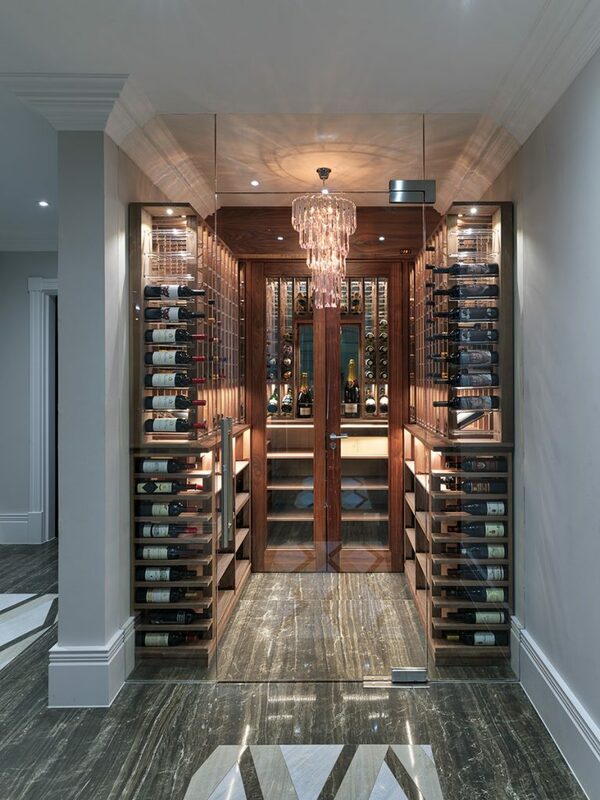 Staying away from the current trend of using metal and glass, this wooden frame design with an accompanying chandelier, which adds a cosy and cabin-like touch to this cellar, while the polished flooring gives it a modern ambience. 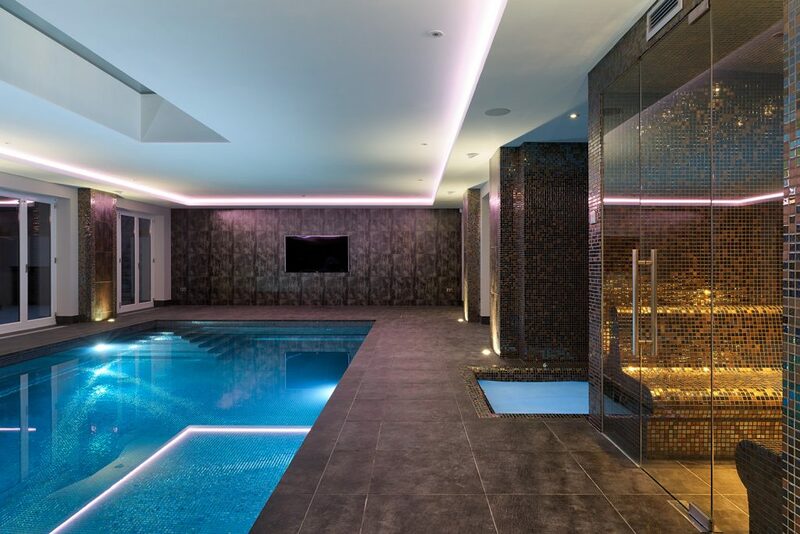 The design of this swimming pool reflects this wine cellar concept. 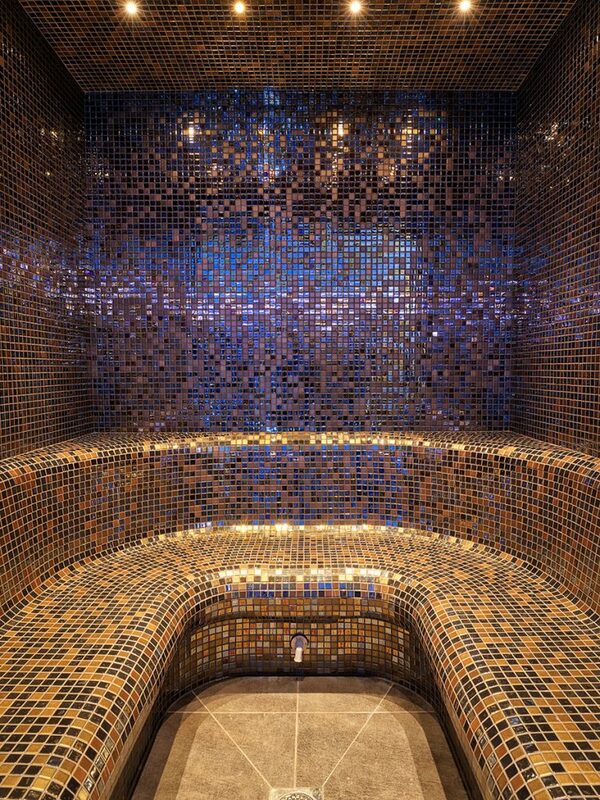 Using mood and effect lighting, using warm and darkly toned colours, reflecting the colours in the cellar. 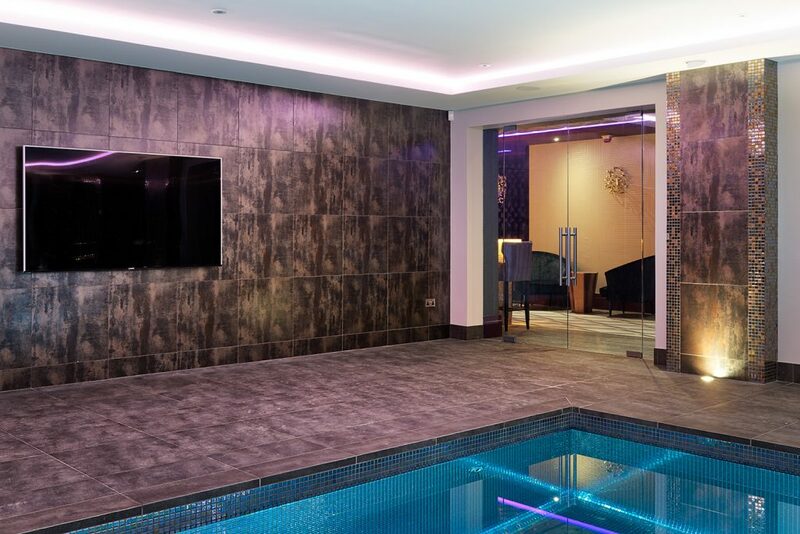 Wanting to stay modern and exempt from the quickly changing trends, modern touches such as glass, have been used in order to create a pool design, which would create an ambience of a welcoming tranquil oasis. 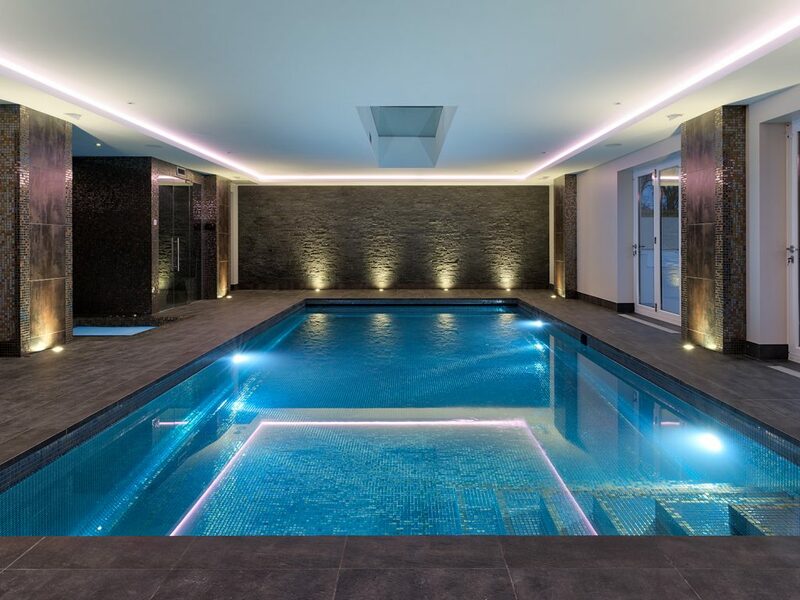 Using real stone to stimulate the senses, this swimming pool is a beautiful example of how you can use interior design to generate an atmosphere which will envolop you.